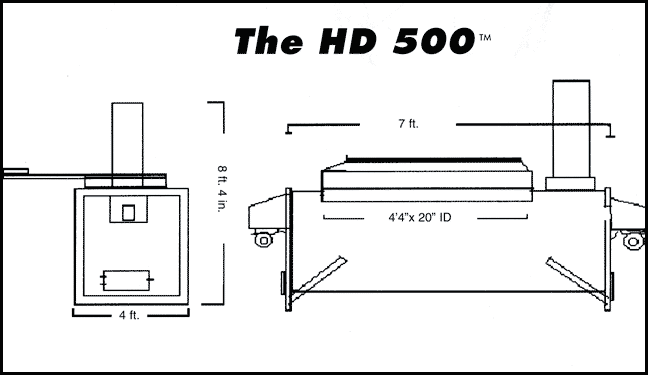 The HD 500 Incinerator is the large capacity/big job incinerator that sets the standard for efficiency. Designed with limited space in mind, The HD 500 requires only a 10' x 10' area for operation to handle up to a 500 pound capacity. A weather-proof electrical control box means that the HD 500 can be installed indoors or out. Two re-adjustable gas burner with a preset burn cycle time and a thermocouple installation conserves fuel and makes The HD 500 very energy-efficient. 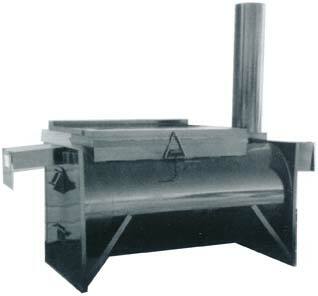 Also, the use of fresh air to complete the destruction of refuse saves 50% or more over old-type burning methods. Natural or propane fuel may be used. The HD 500 has less smoke and odor than most incinerators and only 2% ash to remove. U.S. Environmental tests are available upon request.